This page contains the Statutory Instruments relating to share capital. When companies seeking to reduce their share capital apply to the courts, the procedure requiring all of the listed creditors to have consented to the reduction or have had their claims paid or secured by the company can be disapplied by the court if it is satisfied that the company's creditors are adequately protected. This is routinely done. These Regulations prevent a creditor being eligible to be included in the list of creditors if he or she cannot show a real likelihood that the proposed capital reduction would result in the company being unable to pay his or her claim when it fell due. The court will therefore be able, when seeking satisfaction from a company that its creditors are protected, to disregard the interests of a creditor who is unable to show such a likelihood. The amendments implement changes made to the Second Company Law Directive (Council Directive 77/91/EEC) by Directive 2006/68/EC. They will not interfere with the kind of protection available to creditors who genuinely need protection or with the process by which the courts deal in practice with applications to reduce share capital. This order does two things. First, it prescribes the form in which a solvency statement must be made when a private company proposes to reduce its share capital without getting a court order. Second, it provides that when a company reduces its share capital, a reserve arising from that reduction is to be treated as a realised profit for the purposes of rules about distributions of companies' assets in Part 23 CA 2006 unless the court orders otherwise, and subject to other exceptions. This means that the reserve is, in principle, distributable subject to the requirements of Part 23 of the 2006 Act being satisfied. The provisions of the draft Order on the distribution of reserves do not affect the operation of anything to the contrary in a court order, in an undertaking to the court, in a relevant resolution passed by the company's members, or in the company's memorandum or articles. This Order prescribes the particulars required in statements of capital, some returns of allotments and permissible capital payments (payments out of capital for the redemption or purchase of own shares by a private company. Regulation 2 of these Regulations amends section 562 of the Companies Act 2006 so that the minimum period for which rights issues must be kept open for acceptance is reduced from 21 days to 14 days. Regulation 3 implements in respect of CA 2006 the amendment made to Article 32(1) of Council Directive 77/91/EEC (OJ L 26, 31.1.1977, p. 1) by Directive 2006/68/EC of the European Parliament and of the Council (OJ L 264, 25.9.2006, p. 32) (that Directive was implemented in respect of the Companies Act 1985 by the Companies (Reduction of Capital) (Creditor Protection) Regulations 2008 (S.I. 2008/719)). The latter Directive amended the former as regards the formation of public companies and the maintenance and alteration of their capital. Regulation 3 also makes corresponding amendments to the law as it relates to private companies. Regulation 3 amends section 646 of the Companies Act 2006. Under section 645 a company may reduce its share capital by special resolution subject to confirmation by the court. Section 646 provides a procedure for identifying and producing a list of creditors entitled to object to a proposed capital reduction. Under section 648, before the court may confirm a reduction it must be satisfied that the consent of the listed creditors has been obtained or their claims have been discharged or have determined or have been secured by the company. Regulation 3 amends section 646 to exclude from the list of creditors those who cannot show that there is a real likelihood that the proposed capital reduction would result in the company being unable to discharge their debts or claims when they fell due. Regulation 4(1) increases from 18 months to five years the amount of time for which a public company may be authorised by special resolution of its members to make off-market purchases of its own shares, vary a contract for off-market purchase of its own shares or release its rights under a contract for off-market purchase of its own shares. Regulation 4(2) increases from 18 months to five years the amount of time for which a public or private company may be authorised by ordinary resolution of its members to make market purchases of its own shares. Regulation 5 removes from companies the restriction that the maximum amount of their own shares which they may hold as treasury shares is limited to 10% of the nominal value of their issued share capital (or of the class of issued share capital in question). This regulation is subject to transitional provisions. These Regulations relate to provisions of the Companies Act 2006 ("the Act") which refer to the "authorised minimum" share capital requirement for public companies. There is a definition of "the authorised minimum" in section 763(1) of the Act: it is £50,000 or the prescribed euro equivalent. Regulation 2 prescribes, for the purposes of this definition, the amount in euros which is to be treated as equivalent to the sterling amount of the authorised minimum. The prescribed euro equivalent is €57,100. Regulations 3 and 4 provide for the application of the authorised minimum requirement for the purposes of certain provisions of the Act. The provisions in question have the effect of requiring a public company to re-register as a private company where certain events cause the nominal value of its allotted share capital to fall below the authorised minimum. The events are a reduction of share capital confirmed by court order or the mandatory cancellation of shares in particular circumstances. 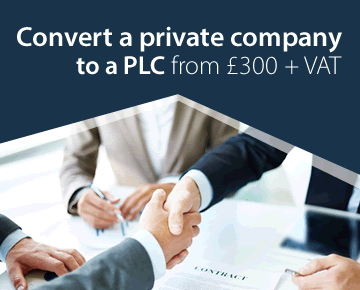 Regulation 3 requires the nominal value of the company's allotted share capital to be treated as being below the authorised minimum if, applying the methods of calculation in that regulation, the sterling value is below £50,000 and the euro value is below €57,100. The methods of calculation in regulation 3 involve converting the value of currencies into sterling or euros at the appropriate spot rate of exchange. The appropriate spot rate of exchange is defined in regulation 4 and, for particular purposes, the definition refers to rates published by the Financial Times. These published rates are also available at www.ft.com. Regulations 3 and 4 only apply where (taking account of the reduction or diminution of the company's share capital) the company has or will have shares denominated in more than one currency. If the company's allotted share capital is denominated solely in sterling or euros, then it is the definition of "the authorised minimum" in section 763 of the Act which applies for the purpose of determining whether the nominal value of that share capital falls below the authorised minimum. Regulation 5 deals with registration by the registrar of companies of court orders confirming the reduction of public companies' share capital. It enables the registrar to assume, in certain circumstances, that the authorised minimum requirement is no longer satisfied by the company. Regulation 6 enables the courts, in specified proceedings, to make a determination in certain circumstances about the exchange rates to be applied in working out whether a public company satisfies the authorised minimum requirement. Regulation 7 prevents anyone from being liable as a result of reliance, for the purposes of these Regulations, on an exchange rate published by the Financial Times. It also prevents liability arising if an erroneous exchange rate published by the Financial Times is relied on for the purposes of the Regulations. Finally, it excludes liability for acts or omissions leading to the Financial Times not publishing an exchange rate capable of being relied on for the purposes of the Regulations. Regulation 8 revokes regulation 2 of the Companies (Authorised Minimum) Regulations 2008 (S.I. 2008/729); and regulation 9 makes transitional provisions and savings. Those transitional provisions and savings take account of transitional provisions and savings in Schedule 2 to the Companies Act 2006 (Commencement No. 8, Transitional Provisions and Savings) Order 2008 (S.I. 2008/2860 (C. 126)). These Regulations amend provisions of the Companies Act 2006 ("the Act") relating to the exercise by the directors of a company of the company's power to allot shares and to the qualified right of pre-emption which the existing shareholders of a company have when the company allots equity securities. Regulation 2(1) amends section 549. Section 549 imposes conditions on the exercise by directors of a company's power to allot shares. As it relates to public companies, section 549 forms part of the implementation of Article 25 of Council Directive 77/91/EEC (OJ L26, 31.1.1977, p.1) ("the Directive"). In exercise of the power to derogate in Article 41 of the Directive, the conditions are not intended to apply in any circumstances to the allotment of shares in pursuance of an employees' share scheme or to the grant of a right to subscribe for, or to convert any security into, shares allotted in pursuance of such a scheme. However the drafting of section 549 does not make it clear that the conditions do not apply in any circumstances to allotments made pursuant to a right to subscribe for shares or a right to convert any security into shares. Regulation 2(1) therefore replaces section 549(3) in order to make this clear. Regulation 2(2) to (5) amends Chapter 3 of Part 17 of the Act, which deals with the right of pre-emption of existing shareholders of a company which arises where the company allots equity securities. As it relates to public companies, that Chapter implements Article 29 of the Directive, exercising the power to derogate in Article 41. Regulation 2(2) amends section 560(2), which is concerned with what is meant by the allotment of equity securities. Because of Article 29(6) of the Directive, the right of pre-emption is not intended to arise in any circumstances where shares are allotted in pursuance of a right to subscribe for shares or to convert securities into shares. However, section 561(3) provides that such allotments are only exempt where the grant of the right to subscribe or convert itself triggered the application of the right of pre-emption. This is corrected by regulation 2(2), which qualifies what is meant by the allotment of equity securities, and by regulation 2(3) which repeals section 561(3). Regulation 2(5) and (6) makes consequential amendments. These Regulations amend the provisions of the Act as they apply to both public and private companies. The amendments made by these Regulations mean that the relevant provisions of the Act have the same effect as the corresponding provisions of the Companies Act 1985 and the Companies (Northern Ireland) Order 1986 (S.I. 1986/1032 (N.I. 6)) which they replace. These regulations made some significant changes to CA 2006, Part 18, Chapter 4 with regard to companies buying their own shares. The changes were brought about to facilitate the government's “employer-owners”. Some of the changes apply only when the buy-back is for the purposes of an employees' share scheme, making it easier for the company to buy back shares where an employee leaves the company's employ. Other changes apply to buy backs generally. The most significant change is that approval of an off-market contract now requires the sanction of only an ordinary resolution of the members, rather than a special one. This is done by amending CA 2006 sec694, sec697 and sec700 by deleting the word “special” in various places. The rule in sec695 that the voting rights on the shares being purchased cannot be exercised on the resolution has not been changed. The very tight restrictions on the financing of a buy back are relaxed slightly. Sec692 provides that the funding must come from distributable profits or the proceeds of a fresh issue of shares, unless a capital payment is made under the strict rules of Chapter 5 of the Act. 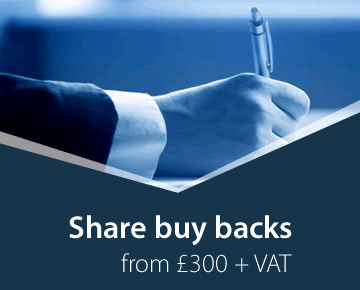 These rules are relaxed by amending sec692 to provide that the buy back may be financed out of cash up to the lower of £15,000 or the value of 5% of the company's share capital, provided the articles so allow. As this is a new provision, the articles of existing companies will practically always have to be amended to permit this. Treasury shares are shares held by the company itself, subject to the provisions of CA 2006, Chapter 6. Treasury shares were introduced for the purposes of companies listed on the stock exchange, the Alternative Investment Market or other authorised markets, and were restricted to such “qualifying shares” and so, essentially to public companies. This restriction is repealed, so private companies can now hold treasury shares in themselves. This gives such companies the option when shares are bought back, either to cancel them or to hold them as treasury shares. While so held, the voting and dividend rights on the shares cannot be exercised until such time (if ever) that the shares are sold. The changes came into effect on 30th. April 2013. These Regulations amend Part 17 CA 2006 (share capital). 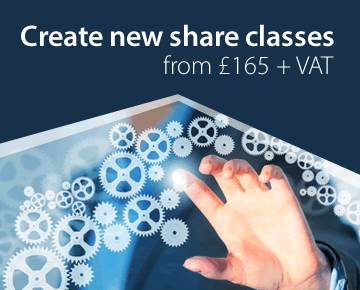 Regulation 3 amends se641 CA 2006 to prohibit a company from reducing its share capital as part of a scheme of arrangement where the purpose is to acquire all the shares of the company, except where the acquisition amounts to a restructuring that inserts a new holding company into the group structure. Regulation 2 makes transitional provision to ensure that the prohibition does not affect takeovers where an announcement concerning a firm intention to make an offer has been made before the Regulations came into force, or the terms of the offer have been agreed in the case of a company that is not subject to the rules. An Information and Impact Note has been produced for this instrument. This Note is available from the Business Environment Directorate, Department for Business, Innovation and Skills, 1 Victoria Street, London SW1H 0ET or from www.gov.uk/bis. These Regulations amend Part 18 (Acquisition by limited company of its own shares) of the CA 2006. Regulation 3 provides that a company that buys back its own shares may finance the purchase in accordance with Chapter 5 or, without Chapter 5 applying, under section 692(1ZA) CA 2006. 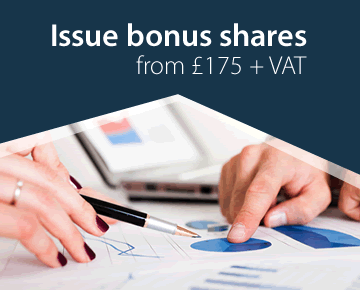 Section 692(1ZA) specifies the maximum value of shares that may be bought back under this procedure, being the aggregate purchase price in a financial year, as the lower of £15,000 or 5% of the nominal value of the fully paid share capital as at the beginning of the financial year. Regulation 4 removes the requirement to deliver a statement of capital to the registrar when shares are cancelled under section 708(2) CA 2006 following a purchase by a company of its own shares for the purposes of an employees’ share scheme, if the statement of capital would be identical to that delivered under section 720B(1) CA 2006 (registration of documents for purchase of own shares for the purpose of or pursuant to an employees’ share scheme). Regulation 5 inserts a new subsection into section 709 CA 2006 that provides that Chapter 5 is subject to the procedure in section 692(1ZA) CA 2006 to ensure that there is no conflict. Regulation 6 amends section 723 CA 2006 so that where a company buys back its own shares under section 720A CA 2006 for the purposes of or pursuant to an employees’ share scheme, the time limit for the return of the shares to the company such that the obligation to pay arises is specified in relation to the date the resolution approving such buy back is passed. This is to allow a company to take advantage of the option of deferred payment in section 691(3) CA 2006. Regulations 7, 8 and 9 ensure that shares bought back under section 692(1ZA) CA 2006 and those bought back under Chapter 5 of Part 18 are treated consistently in accountancy terms. In particular, regulation 7 prevents shares bought back under section 692(1ZA) CA 2006 from being held in treasury. A full regulatory impact assessment has not been produced for this instrument as the effect is already included in the impact assessment prepared for the Companies Act 2006 (Amendment of Part 18) Regulations 2013 (S.I. 2013/999). This impact assessment is available from the Business Environment Directorate, Department for Business, Innovation and Skills, 1 Victoria Street, London SW1H 0ET or from www.gov.uk/bis and is annexed to the Explanatory Memorandum which is available alongside the 2013 instrument at www.legislation.gov.uk.